In this insight, we provide a review of the Indian economy and banking system, highlighting the most important issues facing the sector. 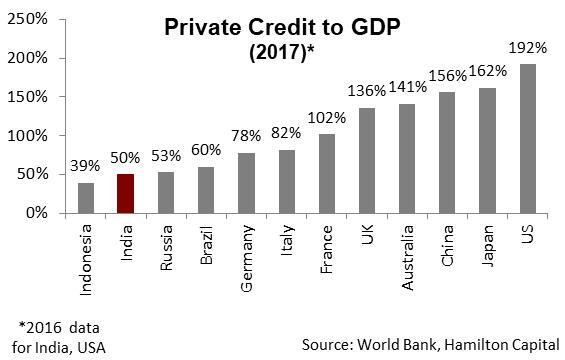 India is a large emerging market with a fast-growing banking sector comprised of over 35 publicly traded banks divided into two main categories: state-owned (over 20) and private banks (over 15). 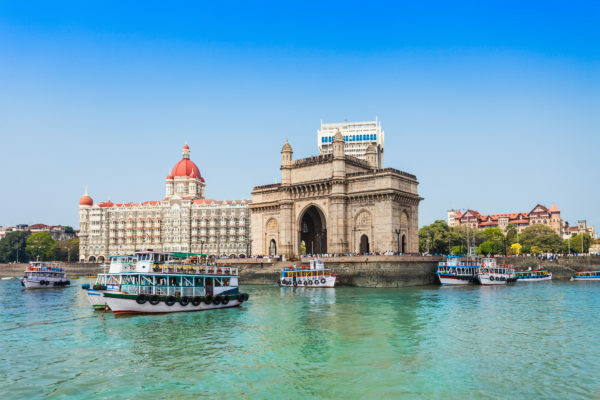 For many years, India has been – and is forecast to remain – one of the world’s fastest growing economies and banking sectors. Strong economic performance, favorable demographics along with key economic and sector reforms provide a very positive backdrop for the Indian banks. India is the largest emerging market exposure for the Hamilton Capital Global Banks ETF (HBG) and Hamilton Capital Global Financials Yield ETF (HFY) at ~7% and ~5% of holdings respectively. 3 bln people in world’s largest democracy and fastest growing economy: India is a huge country operating under a parliamentary democracy. India has 29 states, over 1.3 bln people and is home to one of the world’s largest English speaking population. 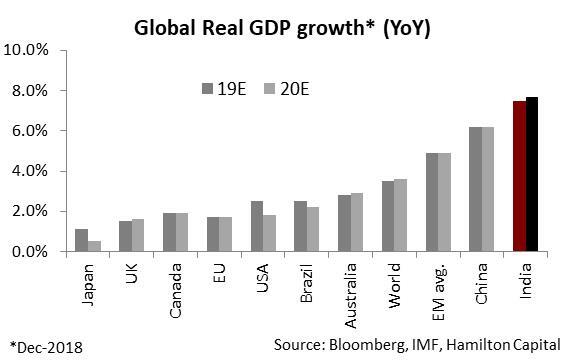 It is the world’s 7th largest economy (with a GDP of $2.6 trillion, GDP/capita of $2k) and has been one of the fastest growing emerging markets over the past decade (average GDP growth rate of 7.4%). Private banks, in which the government holds no ownership/control interest. Crucially because the private banks operate without government influence, their greater free market focus results in superior profitability and more importantly lower credit risk/problems (and higher valuations). As a result, most international investors – including Hamilton Capital – typically invest only in the higher quality private banks. Large private banks have diversified business models: Apart from their dominant retail banking franchises (45-55% of loans), India’s large private sector banks own majority stakes in the country’s largest insurance, asset management and capital markets businesses. As India becomes wealthier and its capital markets mature, this is likely to ensure a long and diversified growth runway for the private banks. High GDP growth → High EPS growth/low dividend yields: Not surprisingly, given that India has a high forecast GDP growth (over 7%), forecast EPS growth from the private banks is very high (normalized EPS growth in the high teens). However, capital generated by the banks from earnings is generally reinvested to support loan growth, resulting in generally low (~1%) dividend yields. Economic reforms under Modi (positively) impacting banks: Since the economic reform-minded Modi government was elected in 2014, there have been a number of reforms that, in the long-term, are expected to positively impact the banking sector; these include demonetization, bank recapitalization programs, and bankruptcy laws. One key area of policy focus is an attempt to improve asset quality of the state-owned banks through capital support programs, consolidation and rigorous regulatory oversight (including recognition of bad loans, and increased reserve levels). Impending election is the biggest risk for the sector: In our view, the biggest risk to the Indian banks is political risk, with a national election in May 2019. If the current government is replaced with one less focused on free market policies, including various bank reform measures, it could weigh on GDP growth and the outlook for the sector. A strong mandate is therefore important, since implementing successful economic reforms has been made difficult in the past by the electoral power and independence of the 29 different states, which often have competing economic and political interests. India is a huge country operating under a parliamentary democracy. India has 29 states, with over 1.3 bln people and is home to the world’s largest English speaking population. It is the world’s 7th largest economy with a GDP of $2.6 trillion and a GDP/capita of ~$2k. With GDP growth of over 7%, India has been one of the fastest growing emerging markets over the past decade. As the transitory effects of demonetization (a currency exchange initiative introduced in November 2016) and a unified tax system (Goods and Service Tax introduced in July 2017) wear out, India is expected to grow at a robust 7+% CAGR between FY18-20. Notably, India is also forecast to – again – be one of the fastest growing economies globally. 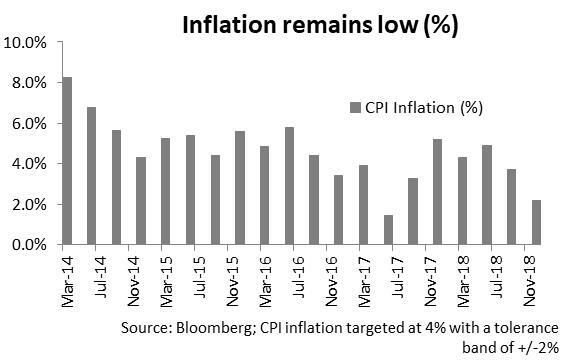 The strong economic growth projections are backed by India’s continued commitment to fiscal discipline, an inflation targeting monetary policy, banking sector and tax reforms among others. After a nearly two decade long period where “social control” over the banking sector was emphasized (i.e. state directing credit), India introduced key economic and banking sector reforms in 1991. These structural reforms impacted accounting, asset classification and capital requirements across the sector. The reforms also proved to be a turning point for competitive dynamics in the banking sector with the launch of the first generation of private sector banks. Fast forward to today, and the banking sector has total assets of $2.3T in assets and a market cap of over US$300 bln. Corporate loans dominate the banking sector’s balance sheet (~50% of loans) followed by retail (25%), agricultural loans (13% of loans) and other loan categories accounting for the remaining 12%. 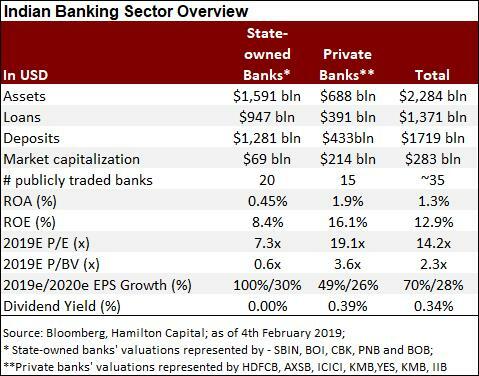 However, as the table below highlights, India arguably has two banking sectors – the healthy and more successful private banks, and their more troubled and larger counterparts, the (majority) state-owned banks. In general, because the sector generates such high EPS growth, it consistently needs capital to fund this higher balance sheet growth. As a result, the Indian banks tend to have low payout ratios and dividend yields. 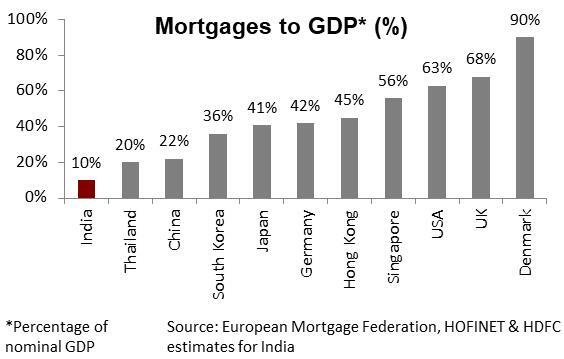 Apart from a positive economic backdrop, Indian financials have also been beneficiaries of structural demand drivers including favorable demographics (~2/3rd of its ~1.3bn population is below 35 years of age), low credit penetration (mortgages at ~10% of GDP), as well as robust income growth and consumption levels. While the banking sector is predominantly government-owned (63% share in loans for public sector banks), private sector banks have rapidly gained market share (~30%) driven by their dominant franchises in retail banking and, more recently, a corporate asset quality cycle that has handicapped the public sector banks. With the first generation of India’s private sector banks coming into existence only in the early 1990s, their market share gains in a short span of time are noteworthy. And we would expect this trend to continue. The large private sector banks are also majority owners in many of India’s largest insurance, asset management and securities businesses. Robust capital markets of the past decade have allowed Indian banks to begin listing these fast growing businesses, resulting in valuable value unlocking for shareholders and a more diversified financial services sector. Most banks retain majority ownership in the non-bank businesses. Introduced in 2016, the Insolvency and Bankruptcy Code (IBC) has resulted in accelerated recognition of the Indian banking sector’s NPLs (mostly corporate NPLs). The much needed reforms are a long-term positive for the banking sector as they establish a time-bound recovery and resolution mechanism for NPLs (~6 month resolution window). However, in the near-term, the banking sector’s asset quality has deteriorated, with gross NPLs rising to 10.8%. Asset quality woes are primarily concentrated in the state-owned banks (gross NPLs at 14.8% of loans). To facilitate/further encourage some of this clean-up, the government has injected capital into a number of state-owned banks that were suffering from large levels of bad loans. This capital injection, was ~$30 bln, or ~1.1% of GDP, and was primarily aimed at facilitating recognition of NPLs made by the state-owned banks to large corporate lenders. In our view, these reform efforts have been successful, although some additional work is required. Nevertheless, these issues are primarily within the state-owned banks, versus the much cleaner/healthier private banks. In our view, the success of these sector wide reform efforts and continued high GDP growth will put downward pressure on credit costs adding to EPS growth. With a national election expected in May 2019, political rhetoric has risen and is likely to result in near-term market volatility. 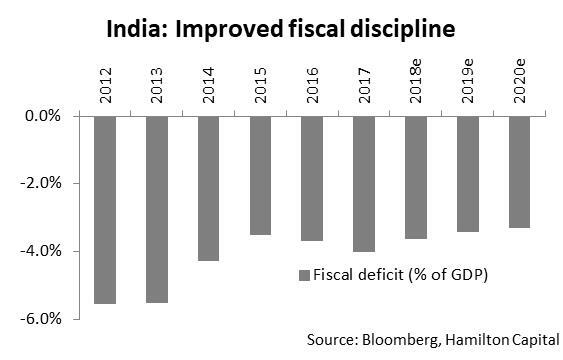 Following notable losses in three key states in late 2018 for the incumbent government, the current election cycle is already testing the Modi government’s willingness to stick to fiscal targets and reform agenda near-term. The Modi government’s large majority in the 2014 elections were crucial in speeding up long overdue fiscal, banking sector and other policy reforms. This is important because India is a very diverse country that operates under a parliamentary democracy (like Canada). In the past, implementing successful economic reforms has been made difficult by the electoral power and independence of the 29 different states, which often have competing economic interests. A strong mandate from the federal government makes it more likely reforms will be successfully enacted. Source: IMF, FY2009-FY2018. Note, India’s fiscal year-end is March 31. Source: Company filings for ICICI, HDFC Bank and Axis Bank – India’s largest private sector banks.